Beignet Skirt: Beating the Curve! (1) Trying to stop my sewing machine from freaking out, then realising that the lack of stitches was because my bobbin was out of thread. 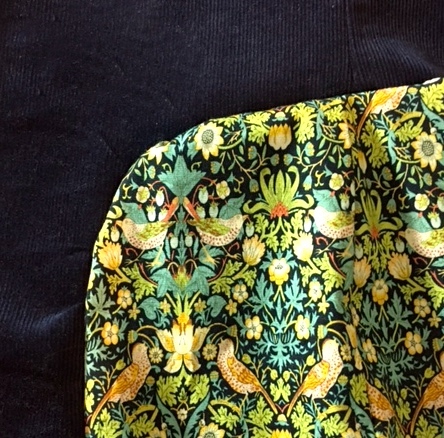 (2) Staring wistfully at my lining fabric. In the end, I actually gave up on the hand basting because it was taking ages. And it ended up looking good anyway. But, if you’re giving this pattern a go, I wouldn’t suggest trying to scrimp on time spent cutting the hem and clipping/notching. I’m pretty happy with how it’s come out, particularly with my choice of lining. 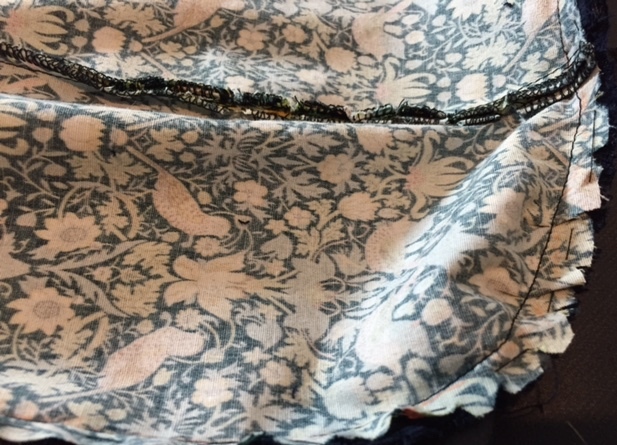 Hopefully my next post will be a finished picture of the skirt – which I want to get done in preparation for my next project. Details to come! 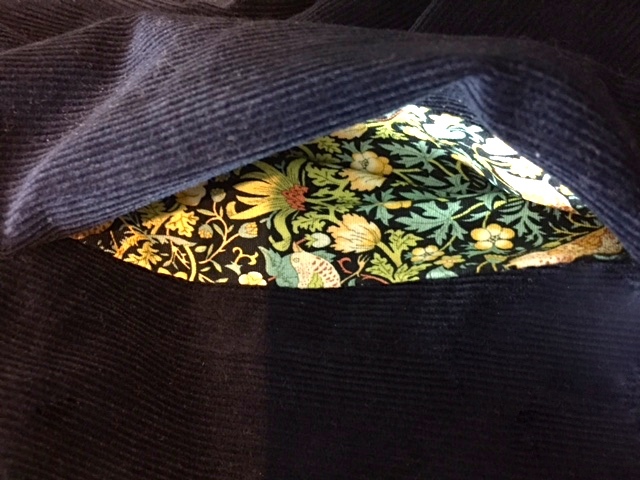 In the meantime, I’ll leave you with a photo of my heart-flutteringly adorable peek-a-boo pockets! Beignet Skirt – The Finished Product!